Combined Fractional CO2 Laser plus Micro-Needle Fractional RF. The Aesthetic Associates Centre now offers the newest device for facial rejuvenation and body treatments. 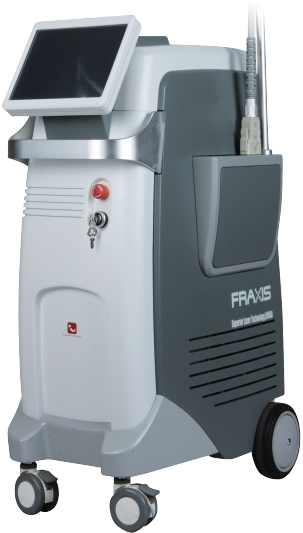 The Fraxis Duo is the ideal combination of fractional CO2 laser and with the option of micro-needle fractional RF technology with numerous applications for facial rejuvenation and body treatments. This is achieved through the optimal combination of fractional superficial stimulation and deep volumetric heating, giving superior results for single or combination treatments on the most-common medical and cosmetic indications. "Collagen and elastin fibers diminish with age. By stimulating the tissues of the skin, the collagen and elastin increases, thereby making the tissues appear more youthful." Dr. Samuel Shatkin Jr. The benefits of combining micro-needling and fractional RF allows the treatment of all skin types and provides the ability to treat a large range of medical and cosmetic indications. Both superficial and deep stimulation is achieved in one device, increasing effectiveness and reducing side effects. 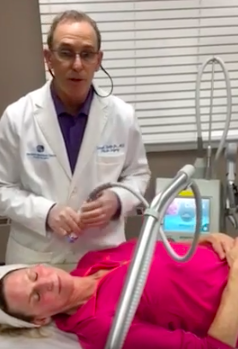 Through dual energies and various modes, it enables Dr. Shatkin and his team of health providers to select the most effective treatment depending on the indication and the patient’s skin type. 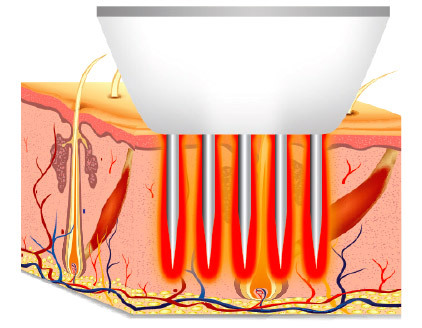 The clinical outcome is maximized by delivering energy to the target skin layer without damaging the surrounding tissue.